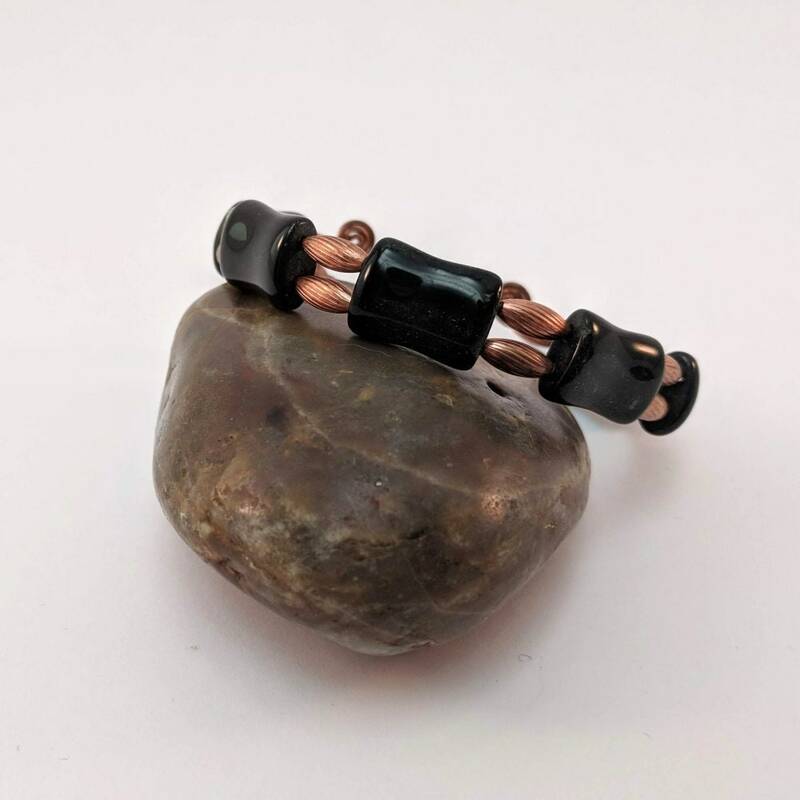 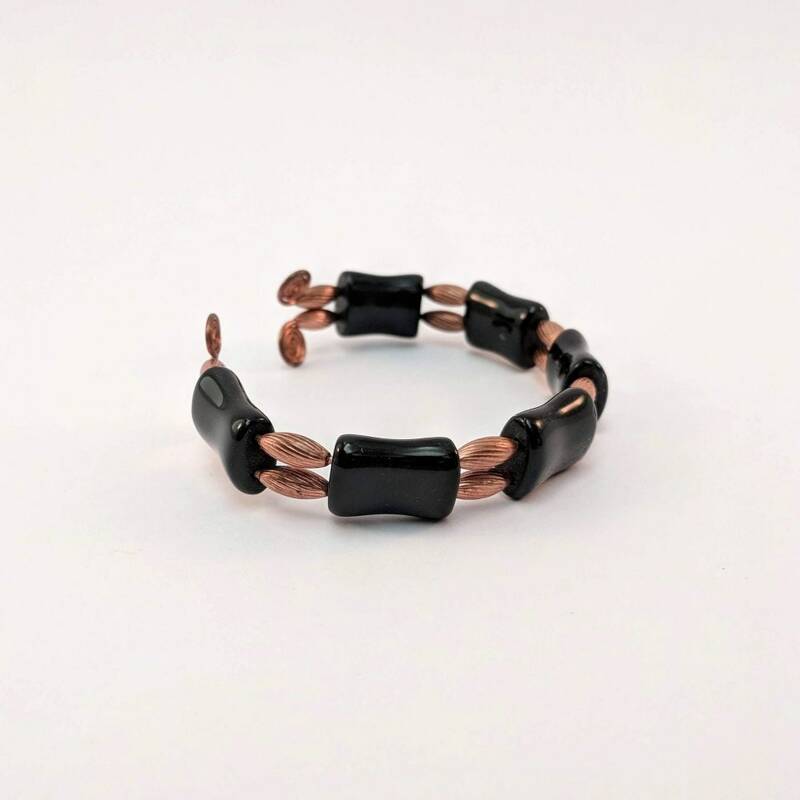 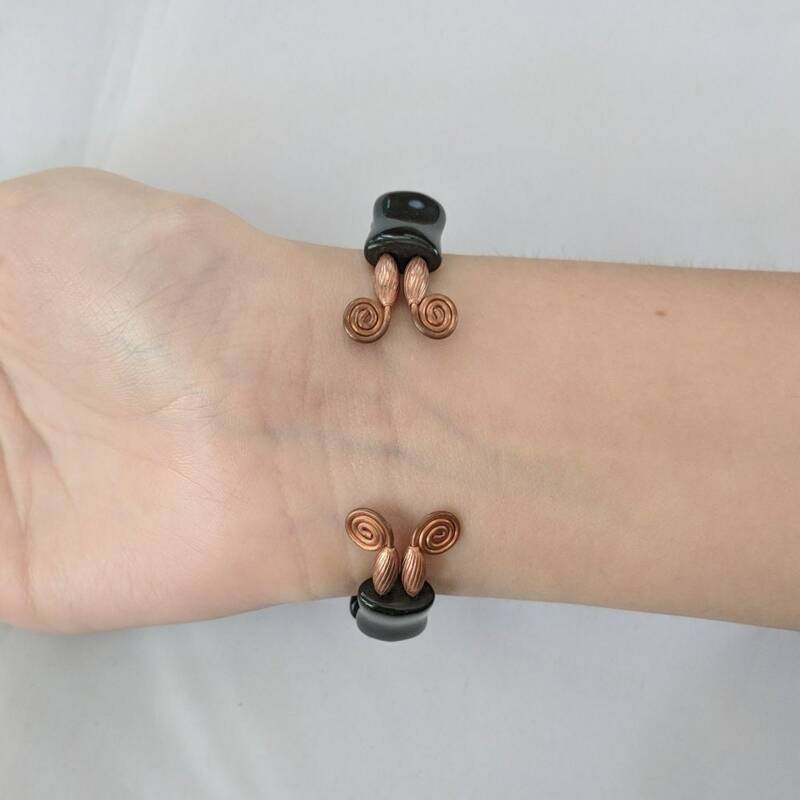 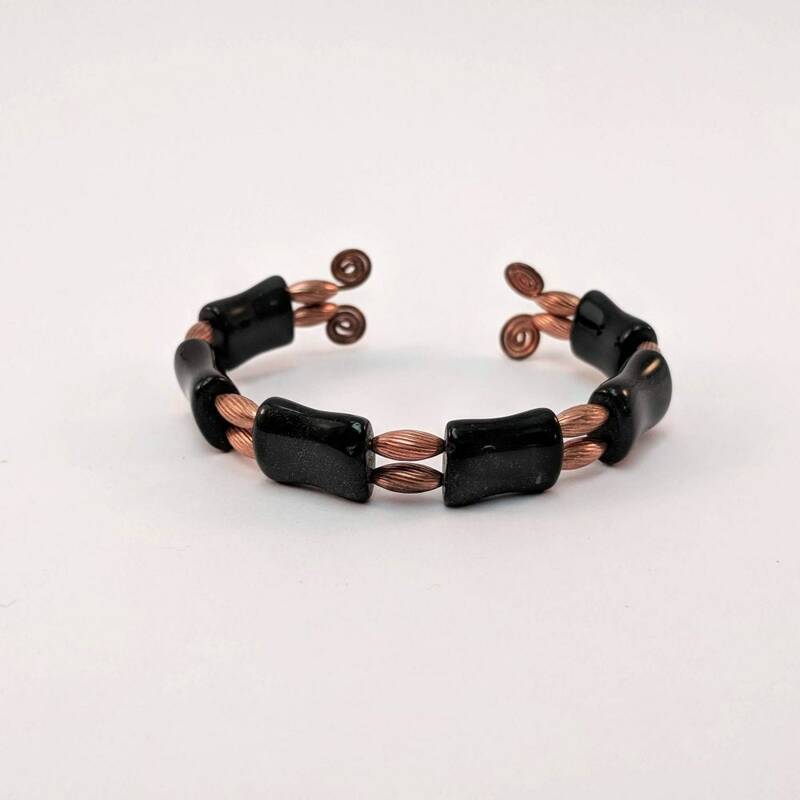 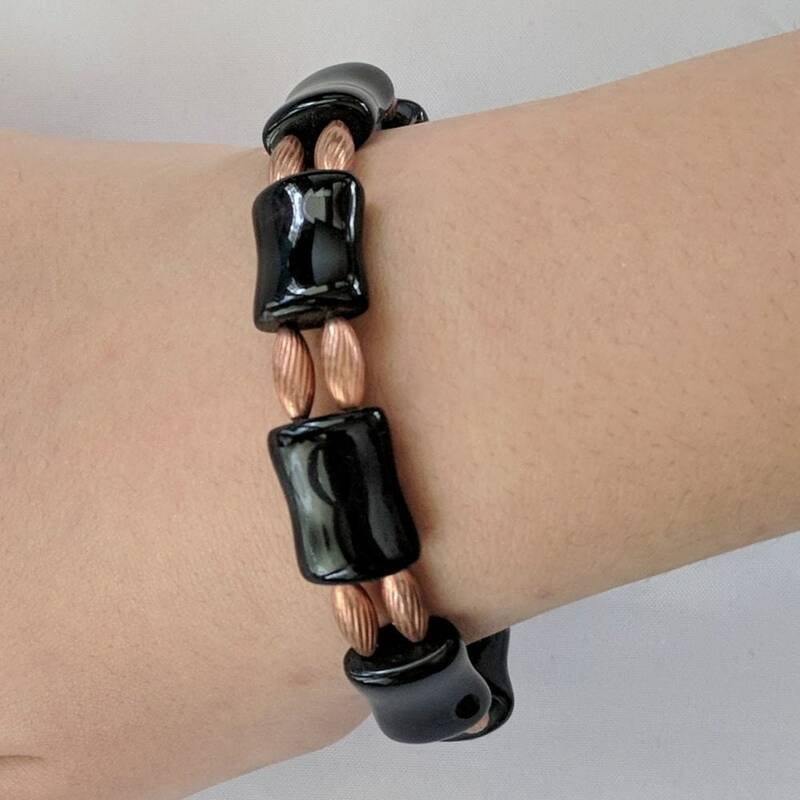 Pure copper wire forms the foundation for this bracelet. 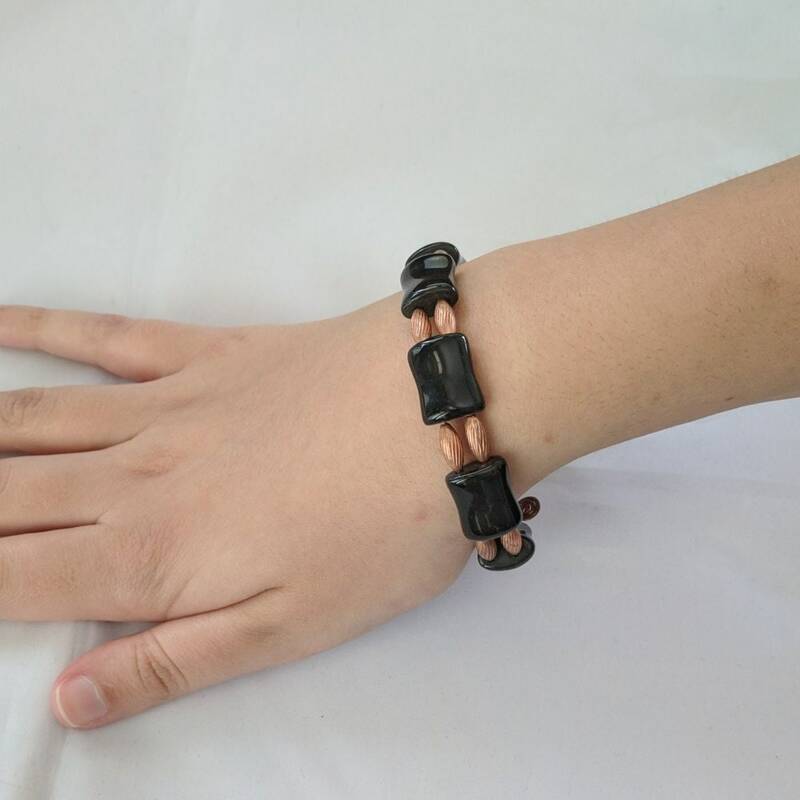 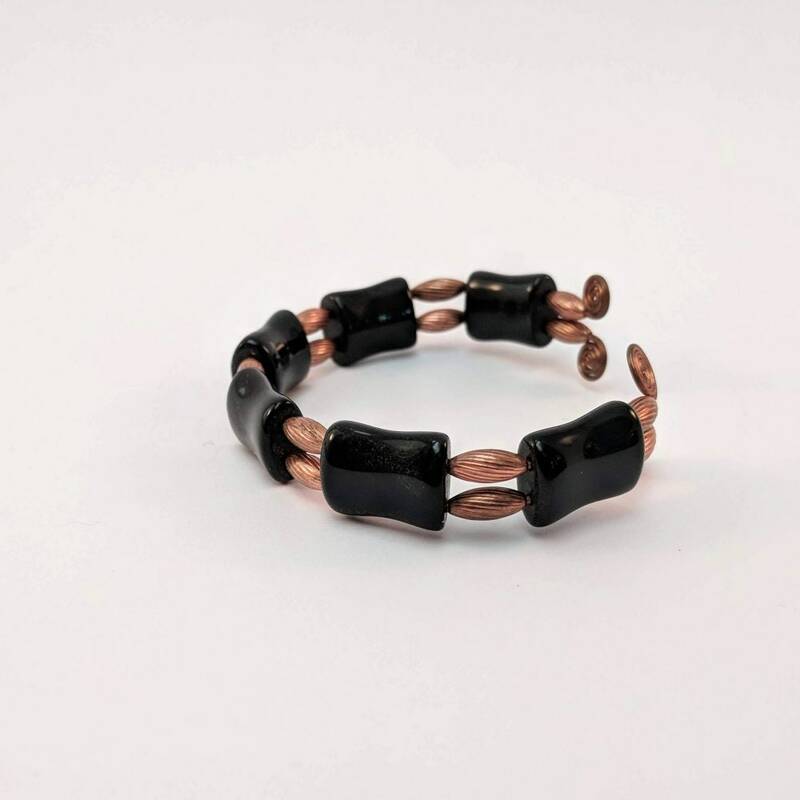 It has alternating 4x10mm oval copper beads and 16x12mm onyx bamboo shaped beads. 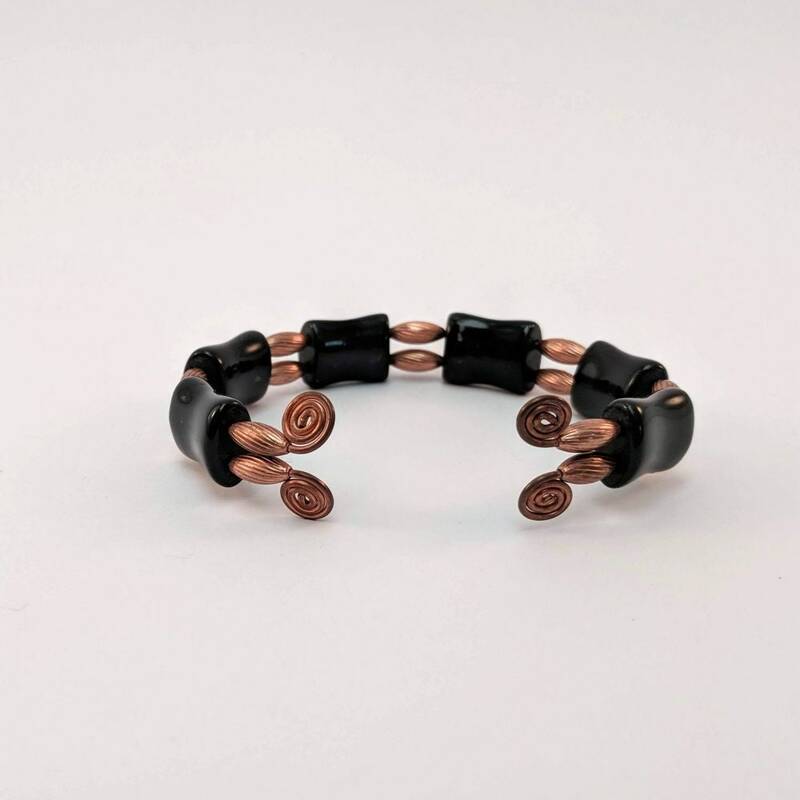 There are sacred spirals at the ends.